Many people look forward to the long, relaxed, sunny days of summer, but they also dread opening up their energy bills throughout the summer months. Cooling a home can be costly, and many are searching for convenient ways to lower cooling costs without sacrificing on comfort inside the home on the warmest days of the year. These are just a few of the cost-effective and convenient options that can help homeowners to reduce cooling costs throughout the summer. A significant amount of heat can enter a home through the windows, and blinds and curtains provide an extra layer of insulation between the window glass and the interior of the home. Some types of blinds and curtains are more effective at blocking heat than others, and homeowners may consider making an upgrade for the best results. For example, wood blinds can block significantly more heat than thin, almost translucent sheers. 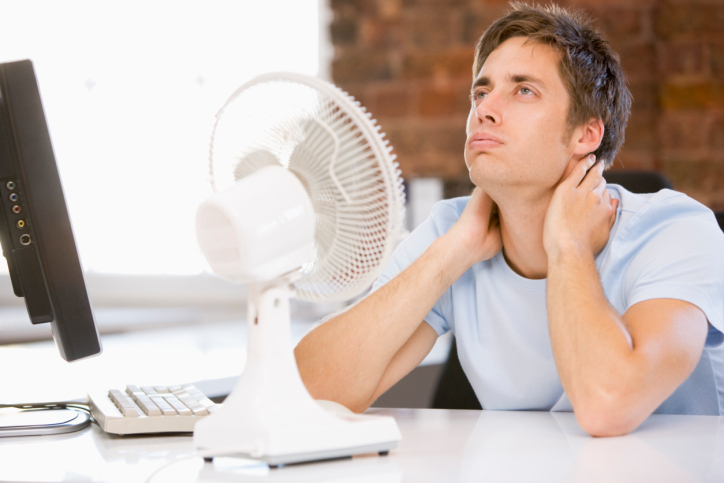 Another way to keep cooling costs lower throughout the summer months is to run ceiling fans regularly. Ceiling fans help to circulate the air, and this helps the central cooling system function more efficiently. In addition, ceiling fans also can make those who are in the room feel cooler, and this may mean that homeowners can keep the home’s thermostat set at a slightly higher level than it otherwise would need to be set at for comfort indoors. There are numerous appliances and types of equipment that may be used indoors throughout the summer that can generate a considerable amount of heat, and running these at night can reduce the need to run the central cooling system as much during warm days. Consider that everything from running the washing machine and dryer to using the dishwasher and oven or range can emit heat in the home, and these serve to counteract the work that the cooling system is doing. When possible, limit the use of these features to cooler nighttime hours. Keeping the home cool throughout the summer is a top priority for most, and the good news is that there are easy ways to reduce the cost associated with keeping a home cool. These ideas all can be beneficial in a homeowner’s quest to reduce energy costs during the summer.